There is always a simple way to deal with lock and key issues. 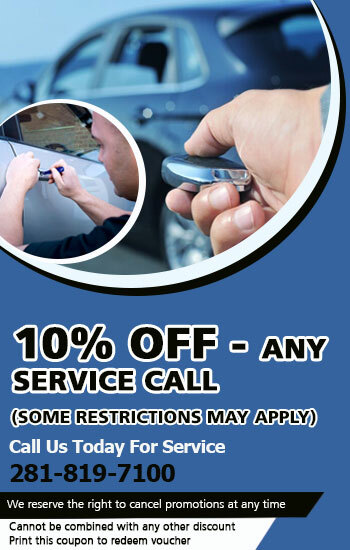 Use our locksmith services ranging from lockout opening to lock repair, rekeying and replacement. We provide keys of excellent quality as well. Our company in Texas has all you need. 24/7 locksmith services / Fast solutions for broken and lost keys! The absolute trust customers show to “Locksmith Tomball” was not built overnight. It took consistent efforts on our end and constant infrastructure improvements in order to meet the demands of our customers and keep them satisfied every single time they needed our help. Such efforts never end for us since things on the market change rapidly and people's demands grow, too. What's excellent news for you is that our professionals are up to date with the most innovative products and trained accordingly. Such things are of the essence when you trust our company to upgrade office security or deal with car key issues. With us, you can be certain every time. We own the means and have the knowhow to cope with the oddest problems, install the most high tech systems, provide emergency lock repair service in timely fashion, and keep you up to date, too. Our team meets your requirements and demands in every level. Want to get an expert's opinion about what you can do to improve office or home security? Just send us an email! Our team is organized and travels in equipped trucks so that it can help you as soon as possible. Why wait any longer when keys break? Just give us a call so that we can take care of the problem right away. You can also send a message!